It’s February in Michigan, which means an abundance of cold. It also means parkas, winter hats, warm sweaters, thermal underwear, and wool socks. We’re months from flip-flops, tank tops, shorts, and swimsuits. So it might seem odd to talk about modesty in a month like this. 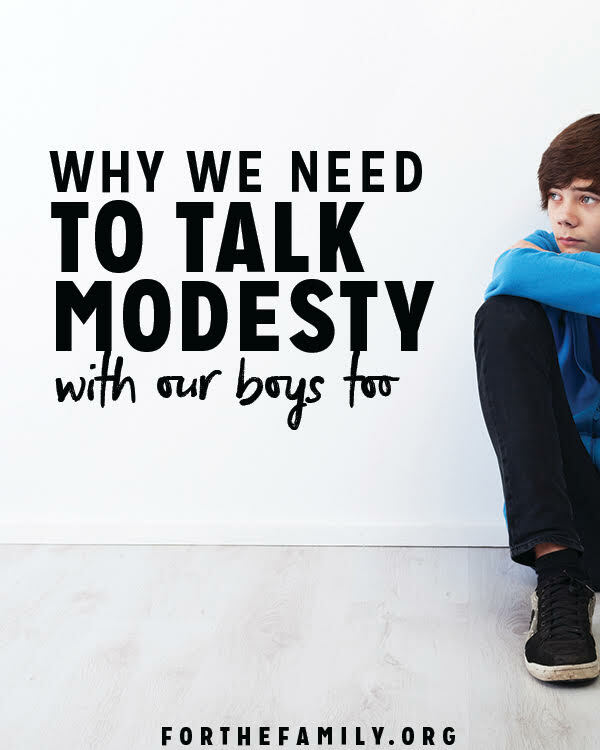 It might seem even more odd to talk about modesty with our sons and not just our daughters. After all, when was the last time you saw a guy wearing a bikini, low cut shirt, or yoga pants? Hopefully never. As a dad with two boys, I’d like to talk about modesty. Hopefully without sounding too old or crazy. Now before we get there, let me just say I am also the father of two daughters. I’m a dad who cares about what my daughters wear, how they see themselves, and what other boys think about. I’m a dad who cares about my daughters protecting the purity of other boys by how they dress and act. That’s a different post! 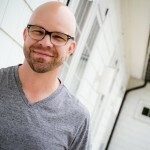 This one is about why we should talk about modesty with our sons, and not just our daughters. If you’ve read posts or had conversations about modesty in the past, you know they can get a little wild. Shall we say heated or emotional? They also tend to be a bit one-sided. They are usually written or talked about from the perspective, and problem, of girls. But modesty isn’t just a problem for girls; modesty can be a challenge for boys. Girls are not the only ones who wrestle with identity, image, and worth based on their looks. The externals matter just as much to boys as they do to girls. Boys can be just as guilty of dressing, or acting a certain way, to draw attention to themselves. And girls, often unnecessarily, carry the responsibility for keeping boys pure by being “modest,” when we should be telling boys to control themselves (more on that in a minute). So while I think we should talk to our daughters about modesty, I don’t think we should stop there. We need to talk to our sons too! We need to remind them that who you are is not how you look. Both The Atlantic and The New York Times have run articles in recent years highlighting the rise in boys who are concerned about their body image and physique. Studies cited indicate more boys are experimenting with supplements and drugs to increase muscle mass, and in some cases, diminish their weight. In a culture obsessed with image, we need to teach our sons that God is more concerned with their character (1 Samuel 16:7). He’s after their heart and not their biceps or abs. While immodesty is the outward behavior we see, the inward struggle we don’t see is image and identity. Boys can be just as easily swayed to use how they look in all the wrong ways. We need to teach our sons that modesty is about desire as much as it is about dress. Don’t get me wrong, I am all for modest dress. When modesty is just about what girls should or shouldn’t wear, it doesn’t go far enough. The real battle goes much deeper than how a girl is dressed. The battle is closer to home because the battle starts in their heart. The battle to carve out and crucify sinful desires. Our sons need to learn that our desires are good and God-given. But our desires are also fallen. Like any good gift from God, our desires can be misguided. Our fallen desires lead to sin. As James tells us, we are tempted when our evil desires drag us away and entice us (James 1:14-15). So the answer for girls isn’t always a longer skirt, baggier sweater, or taller turtleneck. The answer for boys is self-control. 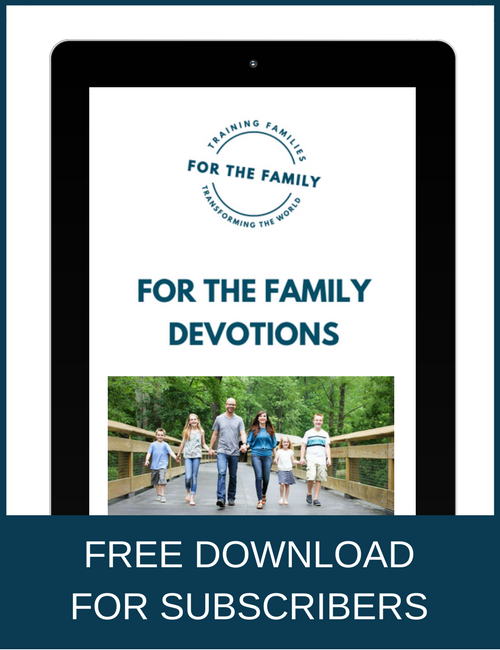 We need to teach our sons how to have their desires renewed and controlled by Jesus and the power of His Spirit – desires that lead to life, joy, and intimacy in the long run. If you are a dad like me, let’s talk to our daughters about modesty – but let’s not stop there. Our sons need it too! Thank you thank you. I love this – I hope you do a follow up on WAYS to talk about this with our boys. I have been saying this for YEARS and every time I bring this up, well meaning people keep redirecting the conversation with “yeah but if the girls would just…” It infuriates me!! So thank you for saying that the boys need to hear it too, and also be talked to about their own desires!!! We can’t control everything people wear, but we can control our hearts and minds, through God’s strength! Such an on-point post! Thank you so much for this wisdom and for your courage in sharing it! I try to impress upon the girls the protection that modesty provides, and I can now see from this post how that applies to the guys as well!! Thank you !! So where are the comments from Dads? Surely you have talked to your sons about being Godly men that treat women as fellow heirs of the Kingdom, who will not be sexual frauds, but show respect and thus real love. Good point, John! If fathers don’t talk to their sons about this, the world certainly! And not only talk with them, but set the example by they way he treats their mother and sister(s) and the other women. As our Pastor tells us often, you can say whatever you want, but your actions speak so much louder than your words. More is CAUGHT than TAUGHT! Thank you for this! So much of the conversation on modesty ends up focused on rules for what the girls should be wearing, and the heart issue gets lost. I agree that there will be (or at least should be) outward expressions of that heart issue in how we conduct ourselves, but you’re so right to put the focus on that inward issue first. I pray often that we can do that with our own children as they get older. Yes, yes, yes. I’ve two girls and a boy (5 years and under). We’re already beginning to train our little ones on the issue with modesty (start them YOUNG, especially in this culture that targets even babies with sexualized clothing). It’s a good thing to train the outside to dress modestly, but the inside is the heart of the matter (no pun intended), after all, out of the heart, the mouth speaks (or in this case the clothing choices are picked). Of course, we don’t want to raise little white-washed tombs, which is what is sadly happening when so many simply focus on just the exteriors, rather than the heart (often pointed at only the girls, but as you said, boys need it too). So, as you are pointing out in this post, let us parents talk to our children, both boys and girls, about the exterior modesty and the needed interior DESIRE of modesty. It is our responsibility as parents. Our children (and we ourselves) must remember that we are representatives of Christ; we should walk in the fragrance of Christ in both attitude and dress. 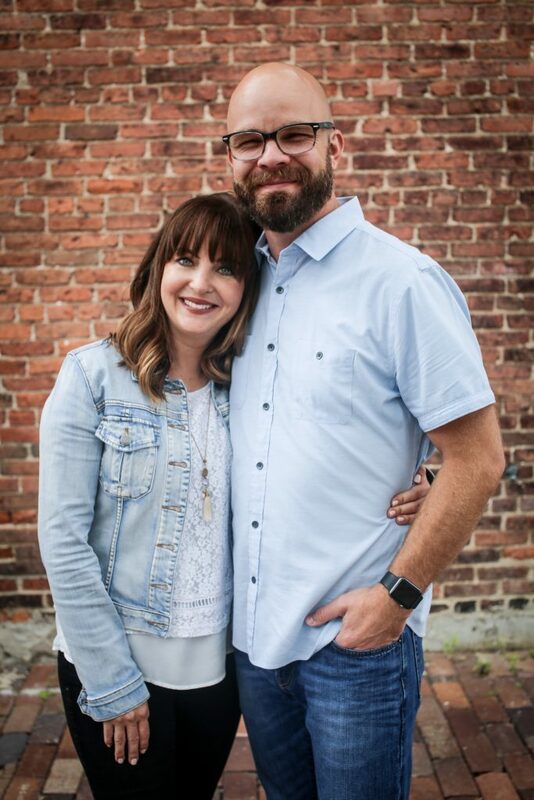 Their (and our) choices should reflect that they love God so that they will strive to bring Him honor in their modesty, and love their neighbors in that they will seek to not give cause for stumbling. So, thank you for this article. We need it today, especially in the church as we represent our Lord. Wow! I know now what I need to do with my three boys Thanks for this! Have you read Dangerous Men by Lowell Seashore? It’s a great study for young men. Or dads. Or young men and their dads 🙂 there is a women’s version too, Unveil.